This week I want you to post your own online assignment. Obviously make it art related and PG, but I want you to ask interesting questions, preferably with a supporting document and your own example of how it would be answered. The Night Watch by Rembrandt is rad, but could it be better if instead of the ghost of Rembrandts wife, it was ham sandwich? What artwork would benefit from replacing one item with food? Personally I think it could work, but you would need to suspend some amount of doubt and just go with it. 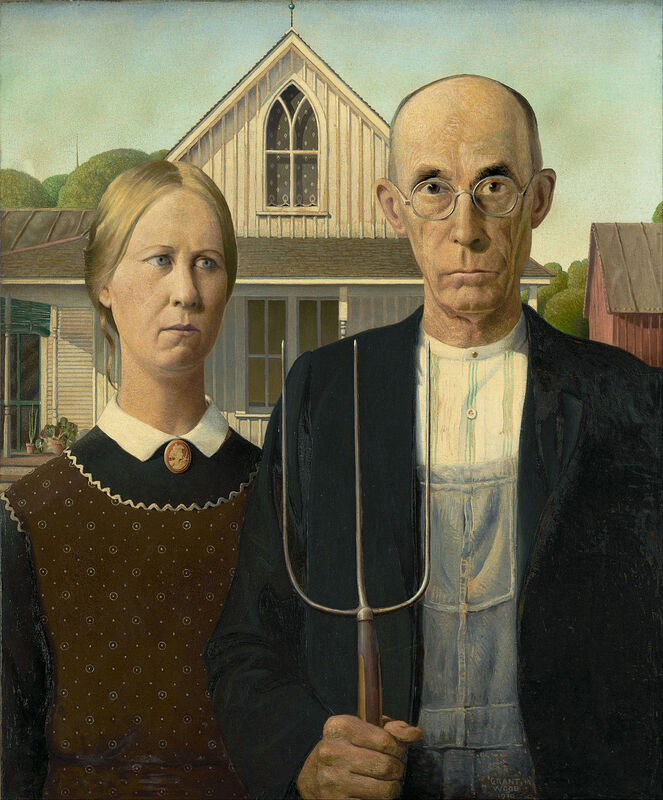 An obvious example would be Grant Wood's "American Gothic" where you replaced the farmer with an ear of corn. I wonder if you could replace food with a person tho. Like Claes Odenberg's "Spoon Bridge" being replaced with just a big ol picture of his big dumb face. Throughout the year I will pull from these and ask them. It may not even be for IB, could be for VA or FAC.